When you travel in Japan, you will find the toilets in Japan are always clean and high tech. These high tech bidet toilet is called “washlet”, and you can find lots of buttons to operate the toilet as the picture below. The descriptions are usually only in Japanese, and if you can’t read Japanese, you will be in a huge trouble. 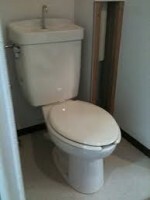 Some toilets even don’t have a handle or a button to flush. Fortunately, on January 17th 2017, Japan sanitary equipment industory association announced that the top 9 companies in the toilet industory including Toto, Lixil, Toshiba, and Panasonic agreed to standardize the pictograms of the controll panels of the toilets. According to the questionnaire for the foreign travelers, many foreign travellers stated the descriptions of toilet were unclear and had a hard time to deal with them. 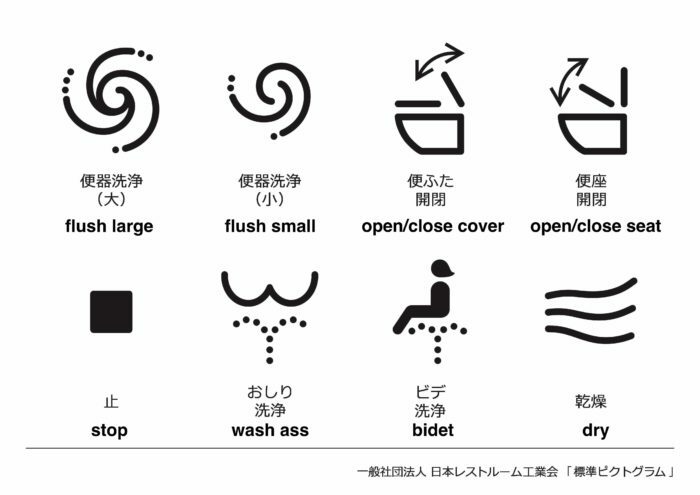 For 2020 Tokyo Olympics, now, Japanese toilet operation pictogram are standardized and they are working for standardizing in internationally. here is the detailed and English translation of standardized pictograms with English translations. I hope this description and pictogram would provide better experiences to those who visit Japan. 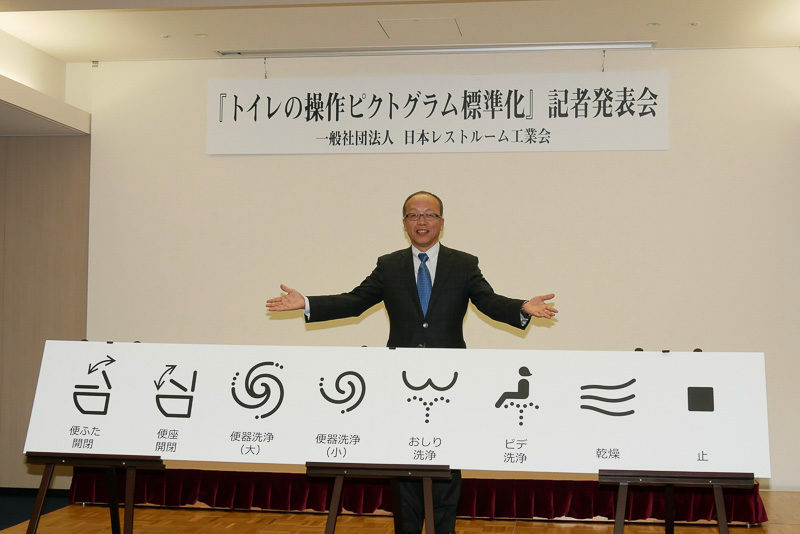 By 2020, Japan sanitary equipment industory association all toilet control panel pictograms will standardize all the pictograms of toilets control panel in the public spaces. 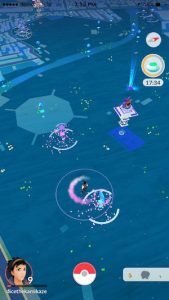 07/24/2016 Pokemon nests in Tokyo: where is it?